This is a time when many of us reflect back, while planning forward. 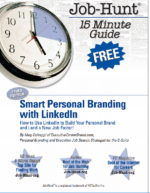 It’s the perfect time to take stock of your personal brand . . . while you’re working on those New Year’s resolutions you’re determined to keep this year. For career health and fulfillment it’s wise to revisit your personal brand each year, whether or not an executive job search is looming in front of you this year. And, if the value you offer has changed or grown significantly, you probably need to re-brand. You never know when a new job opportunity (internally or externally) may come your way. Or your job may be pulled out from under you. And there you’ll be, scrambling to pull everything together. Whether you’re focusing on a move within your current company or looking elsewhere, remember this: the employers you’re targeting will impact your new brand messaging and content. 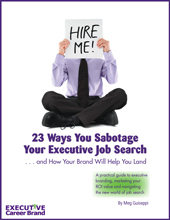 Your resume, LinkedIn profile and all your other personal marketing communications will probably have to be adjusted. Did my brand reputation change over the past year? Have I become the “go to” person for new areas of expertise? What value do I now offer in the marketplace? What ROI (Return on Investment) do I offer that my job-seeking competitors do not? Which driving strengths and personality traits of mine are now particularly important? 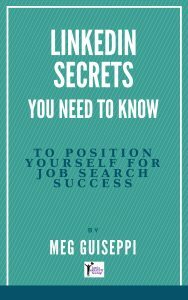 The first steps with any career branding work is identifying which employers (or which kind of employers) you will target, and then research each one. 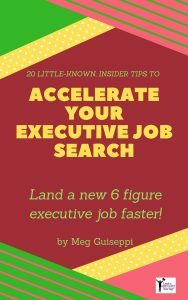 You need to determine which current pressing needs of theirs you’re uniquely qualified to help them meet, and, of course, doing the digging-deep personal branding work. 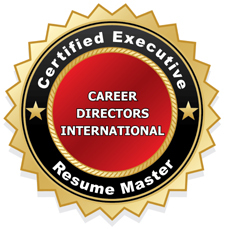 An essential exercise in both the re-branding process and job search strategy is cataloging your recent career accomplishments and contributions. Everyone should make note of this information, whether or not a career transition is in their near future. Make a list of the things you did for your employer(s) last year that most benefited them. The things that positively impacted their bottom line – saving money, increasing profits and market share, improving processes and/or productivity, expanding service offerings, improving communications, turning around failing processes/operations, etc. How do those contributions translate to the value you now offer your current or next employer? If you weren’t keeping track over the past year, get to work on your list now, while these accomplishments are still fairly fresh in your mind. Overcoming challenges you and the company faced. What were the results that benefited the company? What should you do with all this new personal brand information? Update your resume, biography, LinkedIn profile and other personal marketing materials with content that will resonate with whatever employers you’re targeting. Keep these materials at-the-ready in case you’re suddenly laid off and find yourself job hunting, or a juicy new opportunity comes your way . . . either internally or externally. Yes, this is a lot of work to do. But you’ll be thankful you’ve done it, especially if you have to suddenly swing into action and find a new job. Another major benefit to you. Reminding yourself of your valuable contributions and personal achievements is a HUGE ego boost. Something we all need from time to time. Likewise, reminding your current employer of the value you offer them can lead to a better performance review . . . or a salary raise . . . or a promotion.